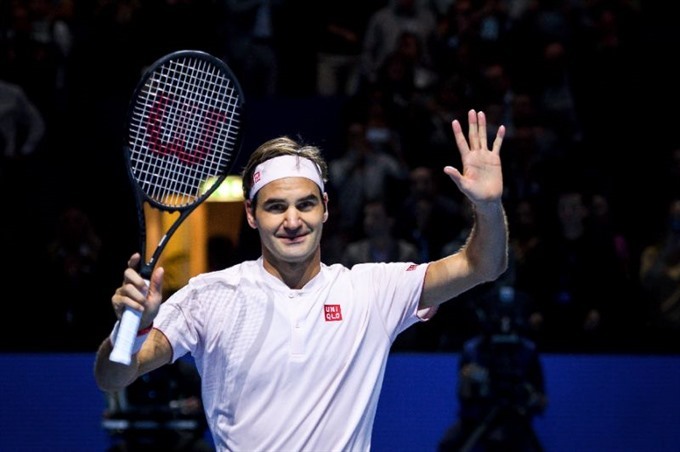 BASE, Switzerland — Roger Federer claimed his 99th career ATP Tour title on Sunday but he had to battle to defeat Romanian qualifier Marius Copil 7-6 (7/5), 6-4 in the Swiss Indoors final at Basel. "It’s been a magical week for me, a dream run for me," Federer said, prior to moving onto his traditional post-final pizza party with ballkids — of which he was one here two decades ago. "Nine (titles) is a huge number for me. winning that many times here is crazy. It’s been a major week for me in terms of records." "This was almost a turnaround week for me," the Swiss legend said. "Maybe I had to win through fighting. maybe it was different than some of my past victories. "But winning is fun, winning gives you confidence. That’s what I need if I want to do well in London, to do my best there. "But for me now it’s about winning here, I don’t care about anything else. It means the world to me. I’m happy to win in front of my home crowd." "I played quite good tennis, it was an amazing week," he said. "I’ve gained a a lot of confidence in myself. I know I can play at a high level and keep it up with the great players. "I’d love to see now what kind of results I can have - but it went his way today, this is how it ended." Victory was the 37-year-old Federer’s 71st at the event. He will be aiming to complete his century at the ATP Finals in London, which starts in a fortnight’s time, but has yet to announce if he will travel to Paris for next week’s final Masters event of the season, where he last played in 2015.